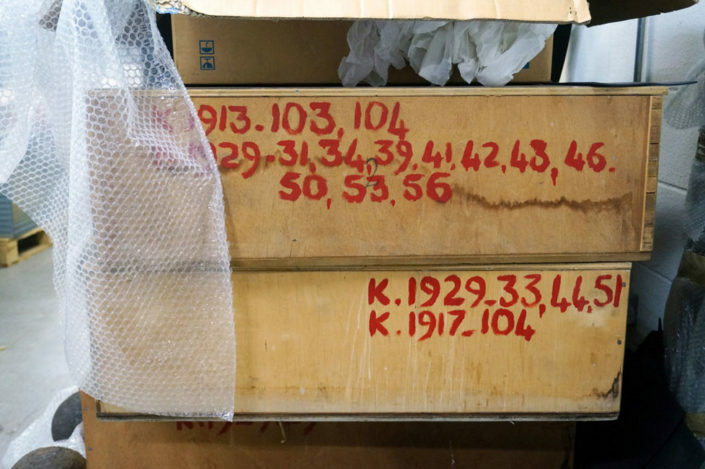 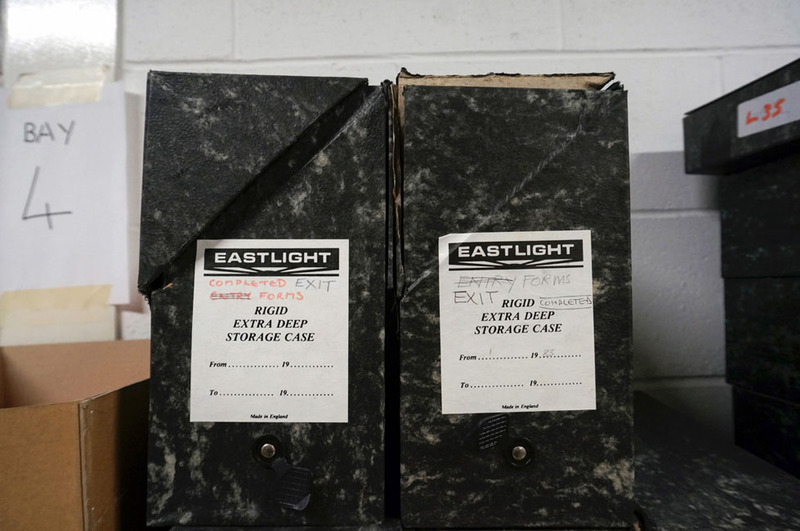 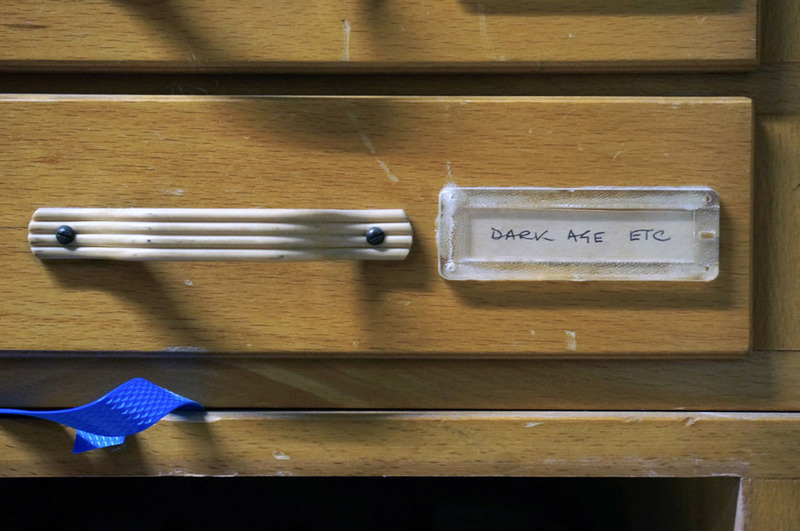 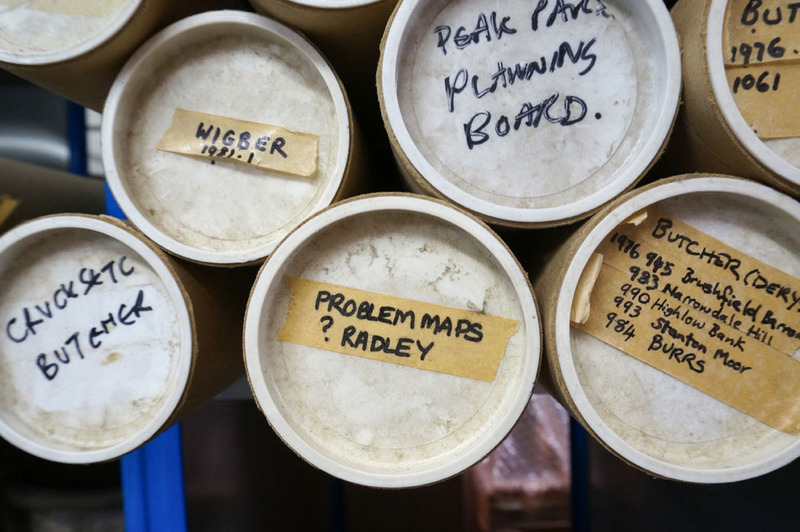 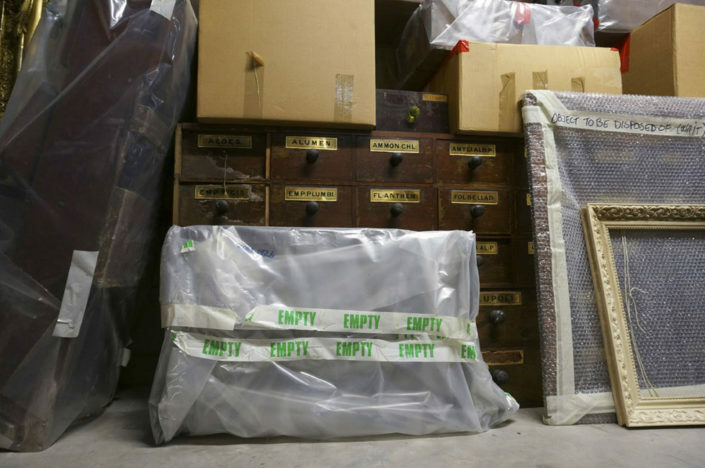 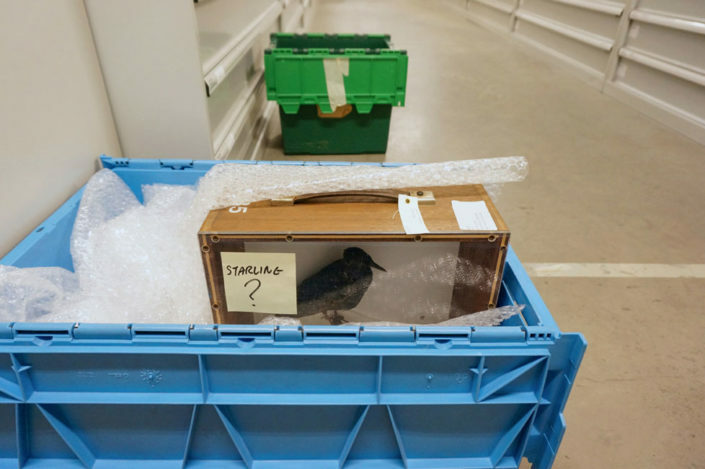 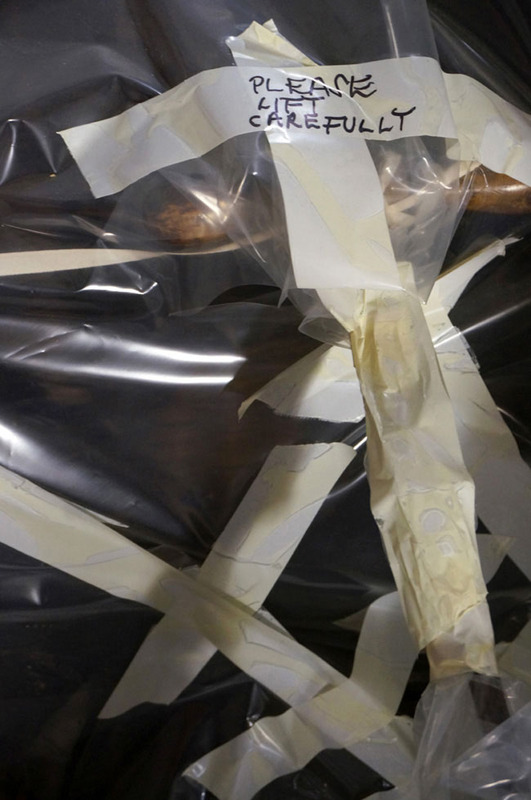 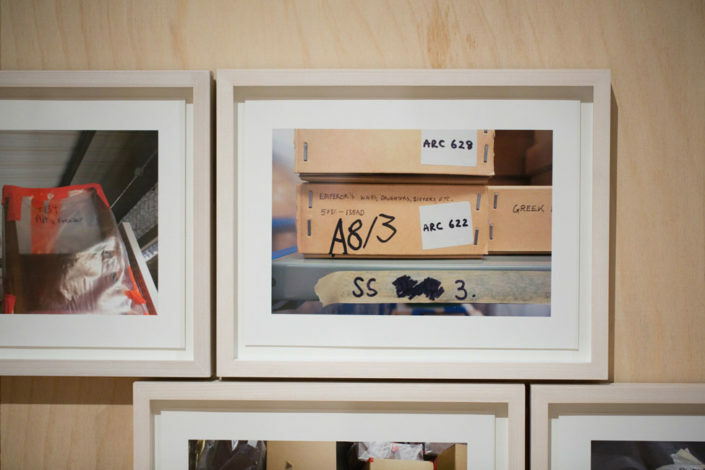 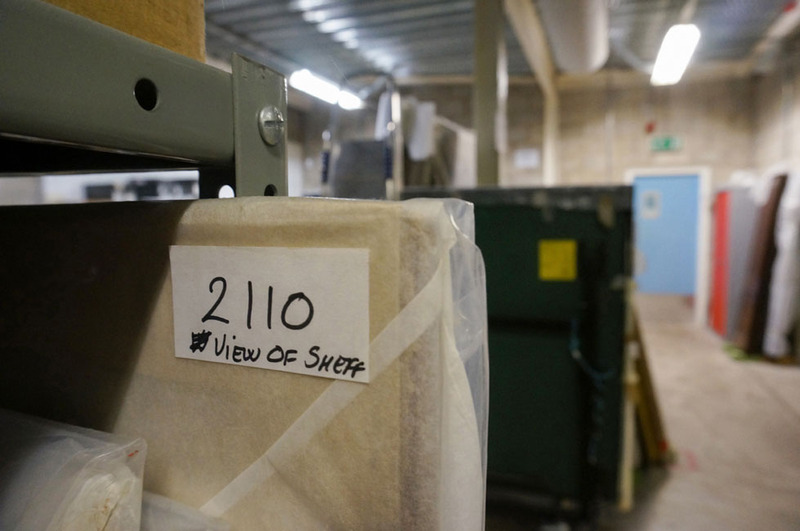 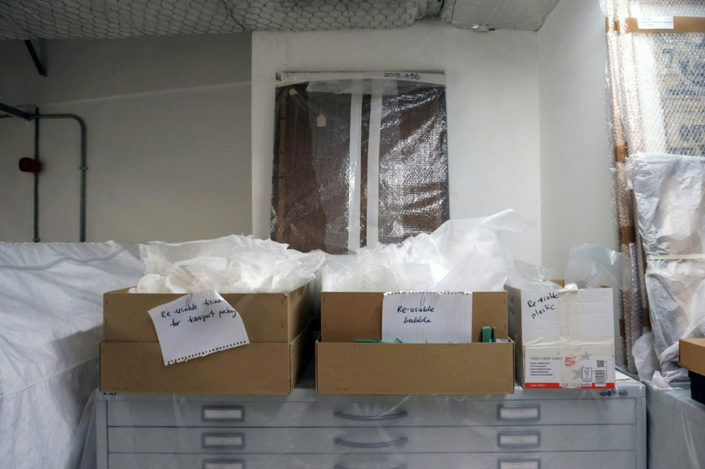 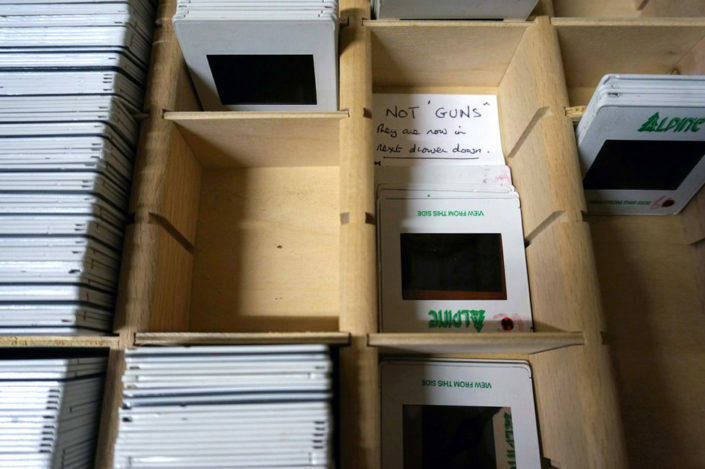 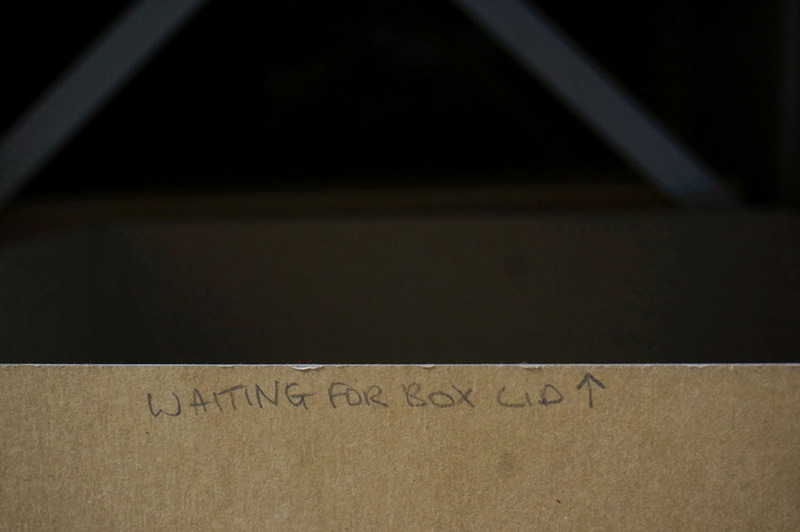 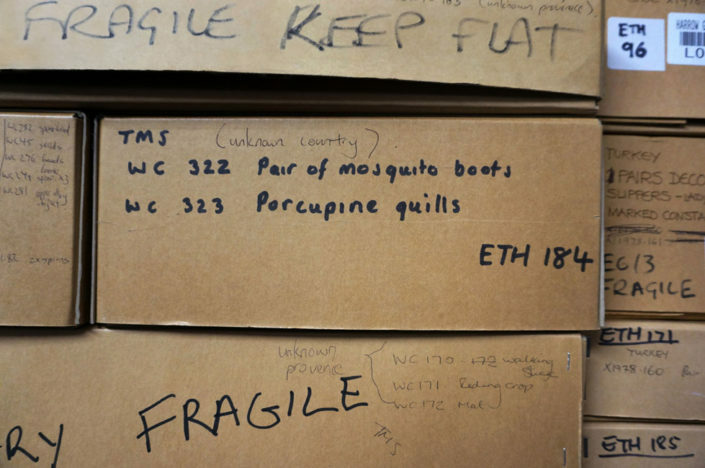 In No Contextual Information, Etchells and Horvat turn their eye to the storage facilities of the Museums Sheffield collections, zooming in and photographing a selection of handwritten notes, labels and other text materials marked on boxes, post-it-notes, envelopes and pieces of scrap-paper. 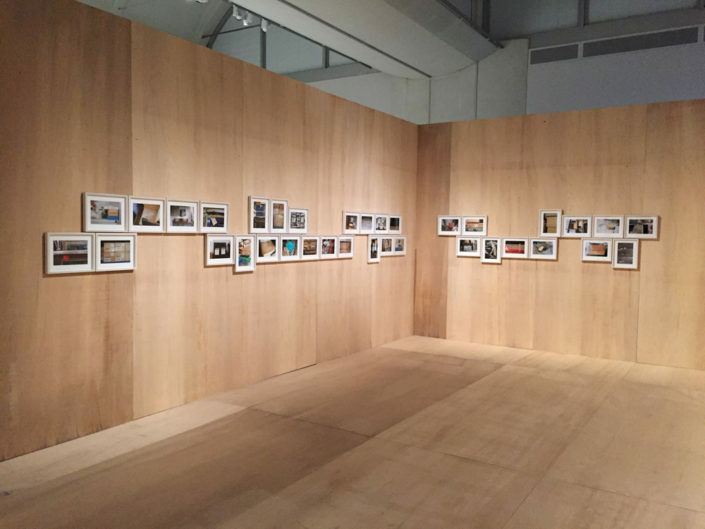 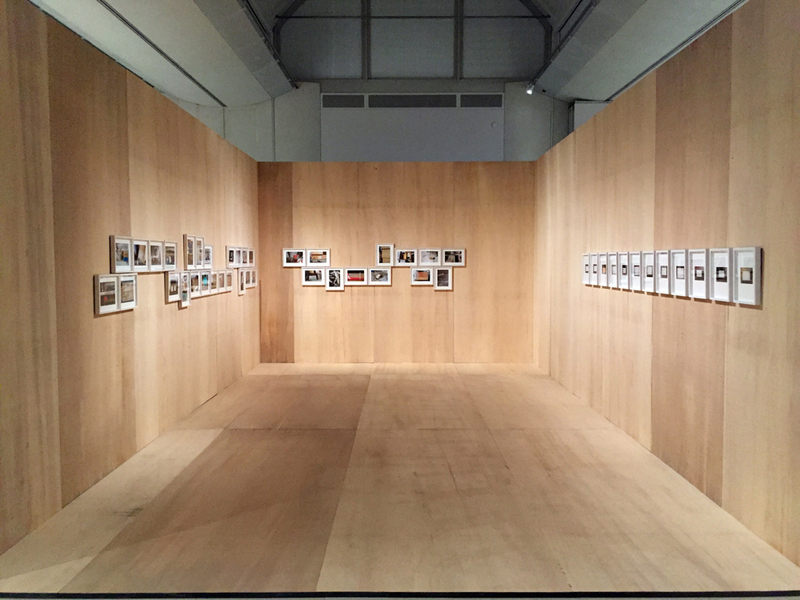 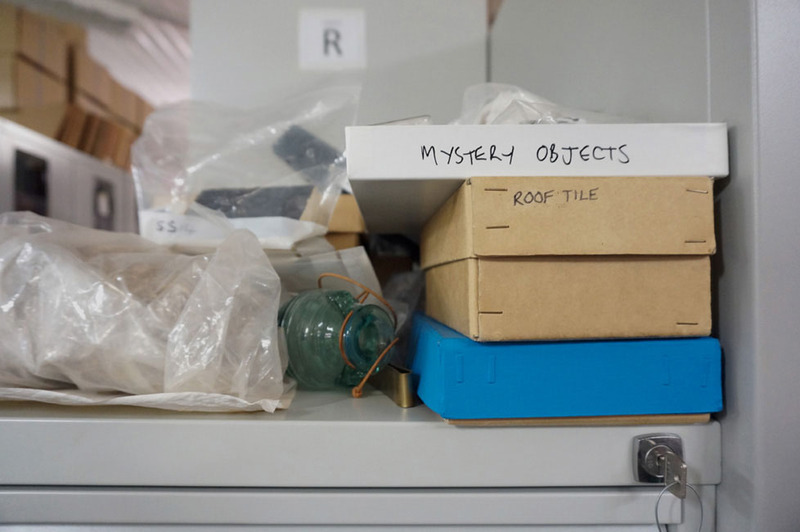 From simple descriptions and notes-to-self by curators, to reminders about the location or status of particular objects, to questions about their identity or history, these images record details in the daily life of the museum, showing traces of the ongoing work of the institution in looking after, keeping track of and studying the items in their care. 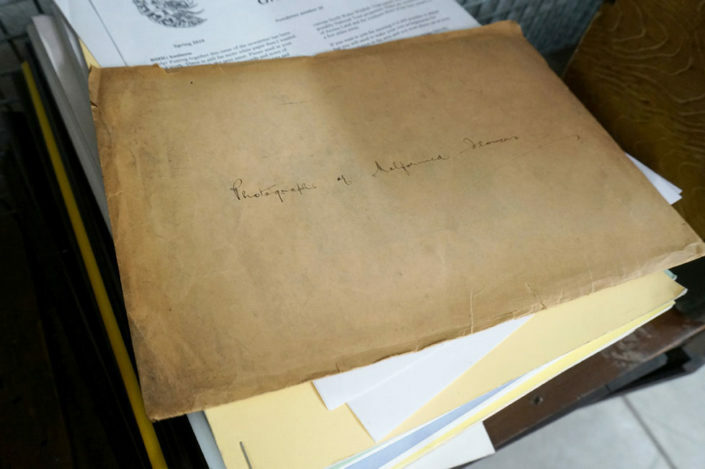 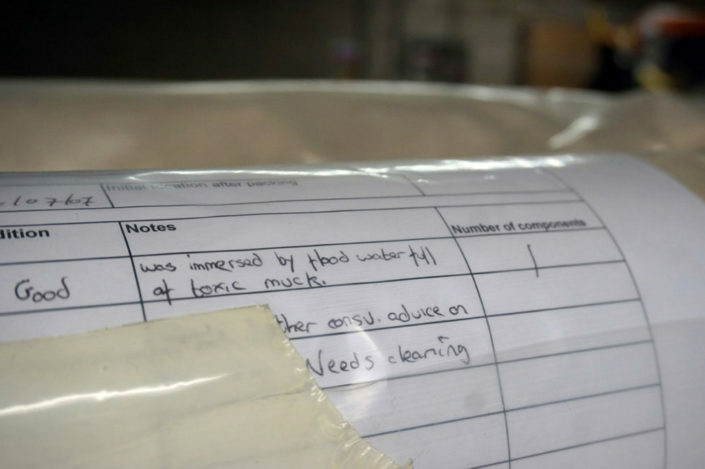 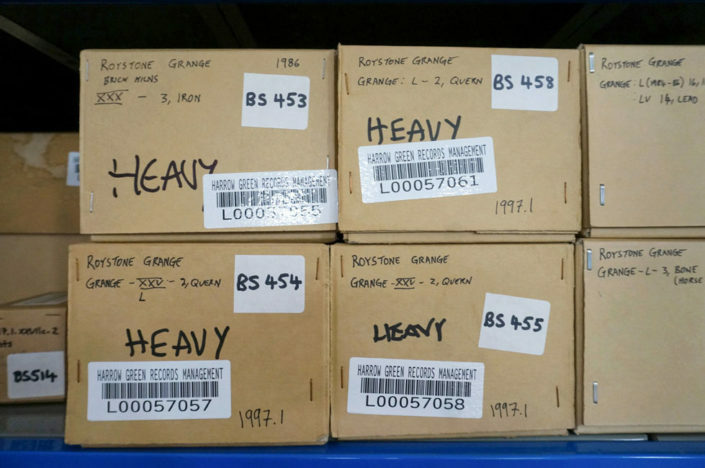 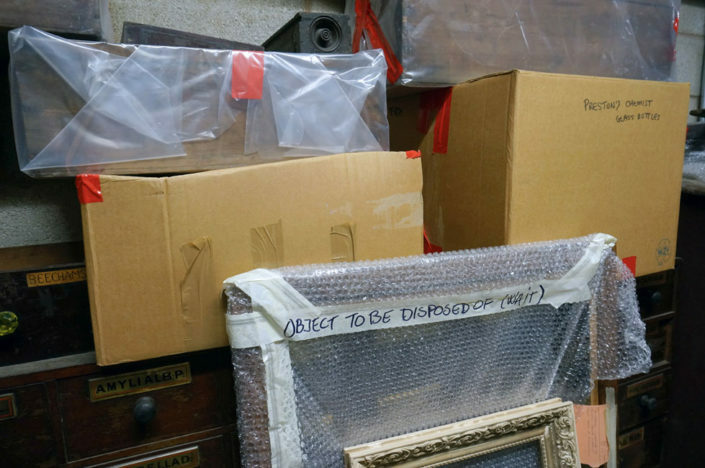 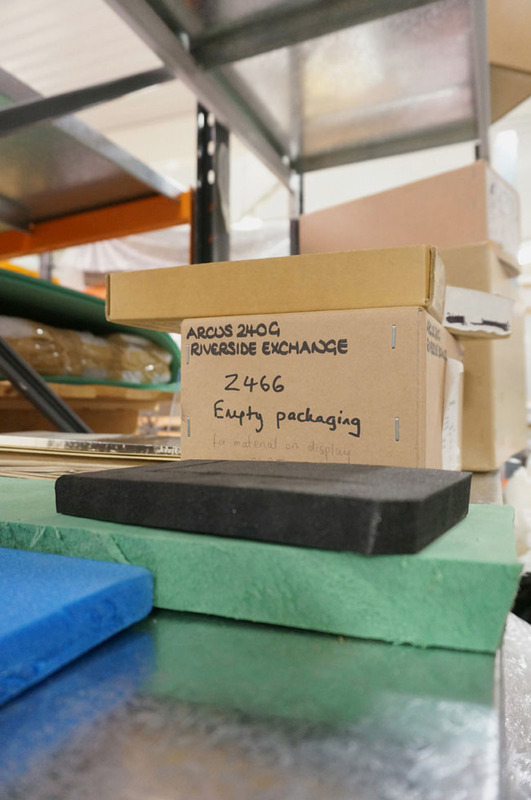 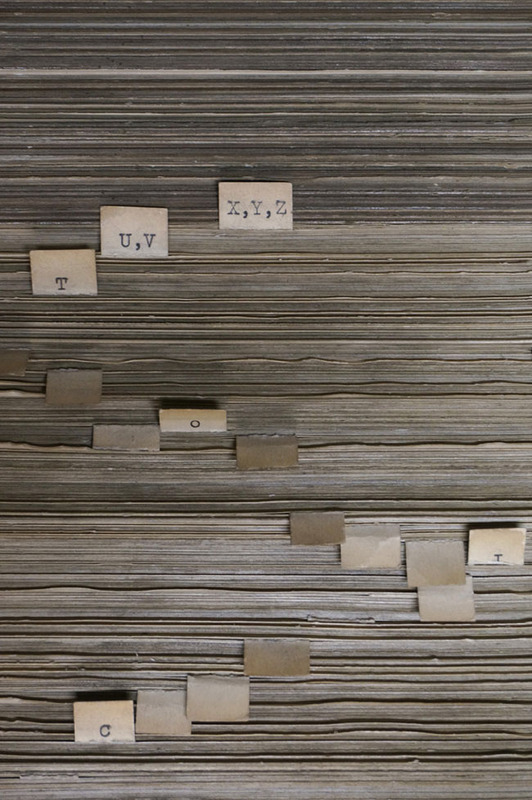 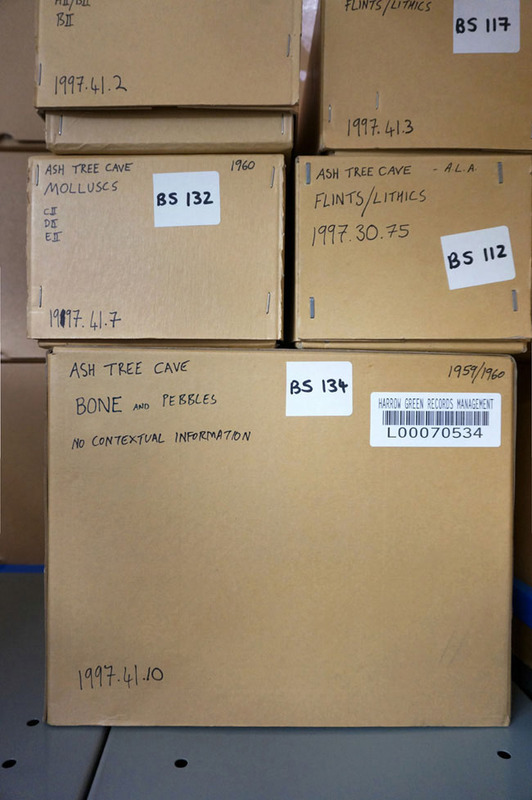 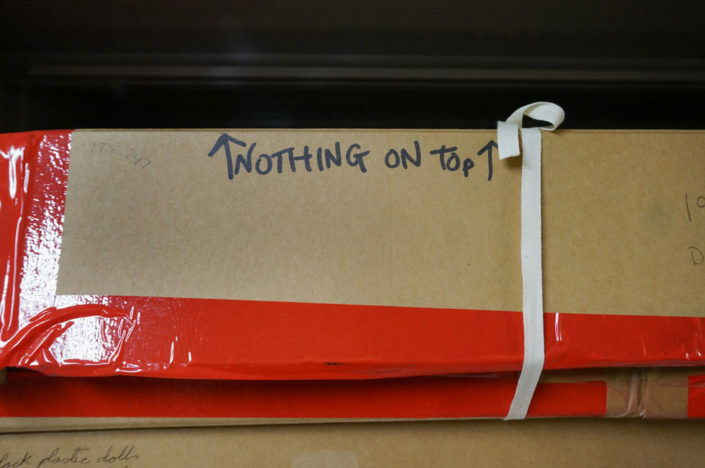 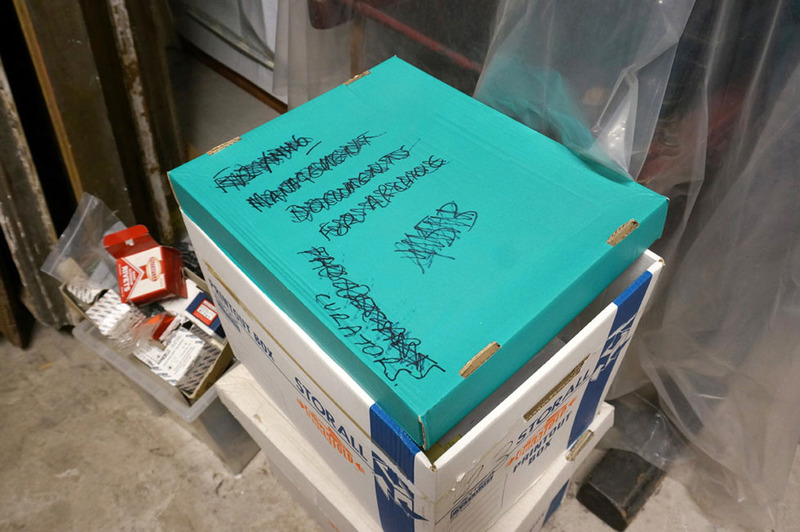 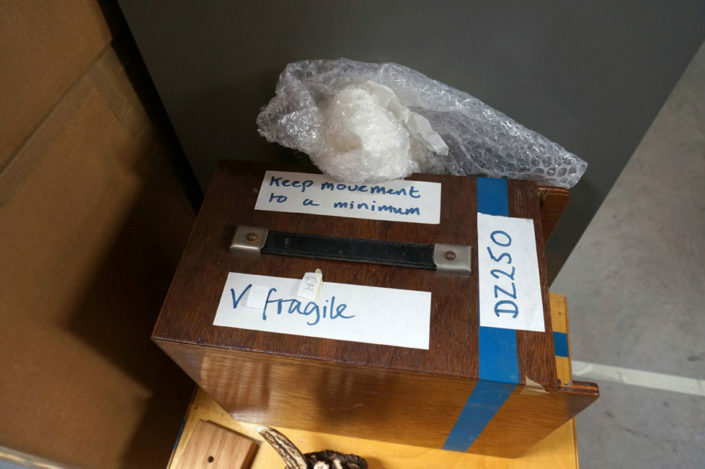 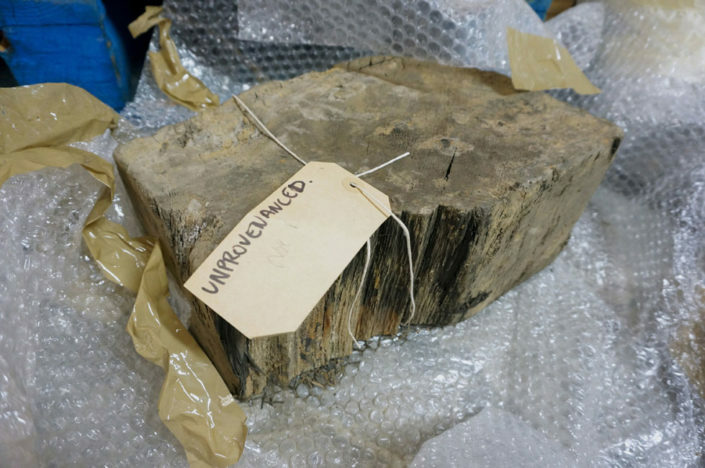 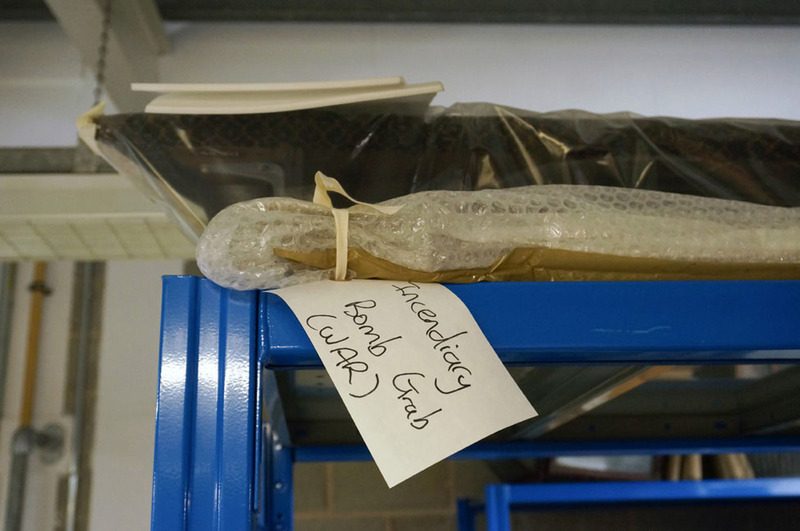 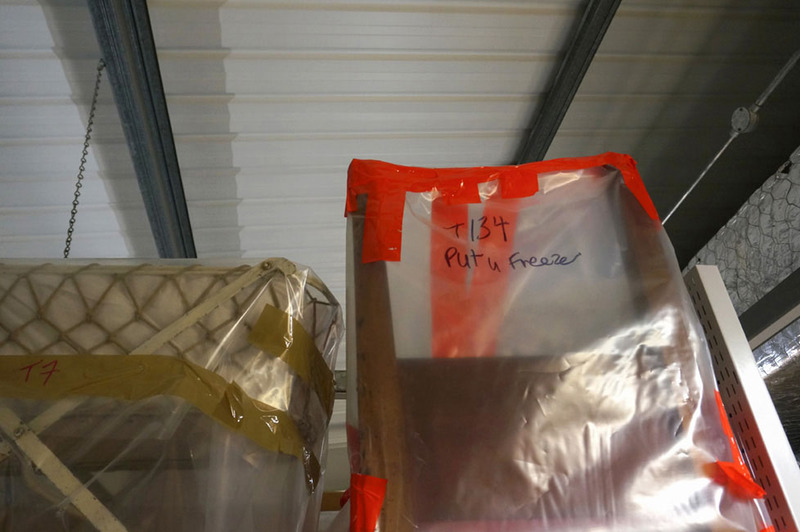 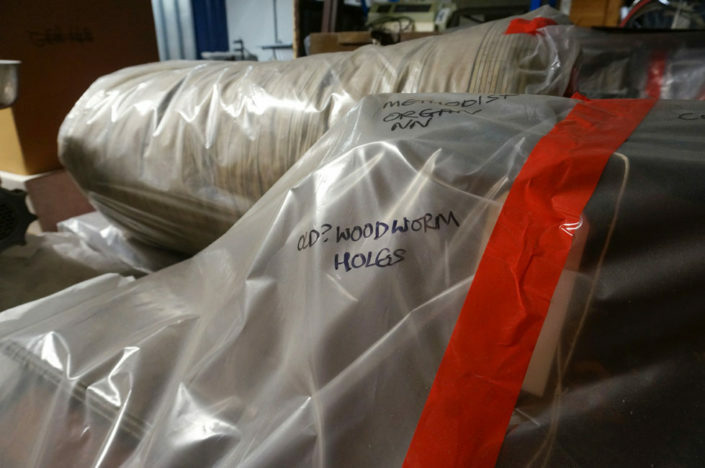 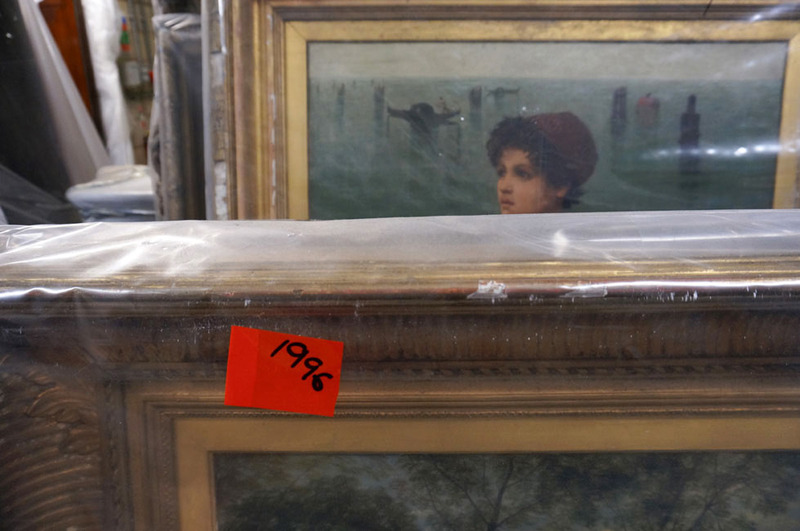 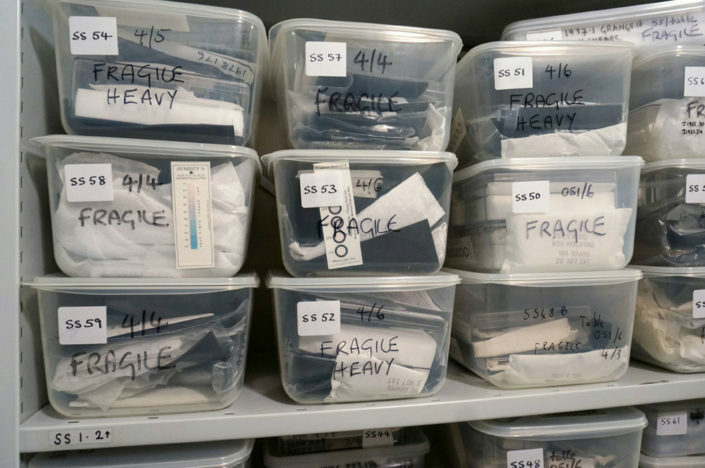 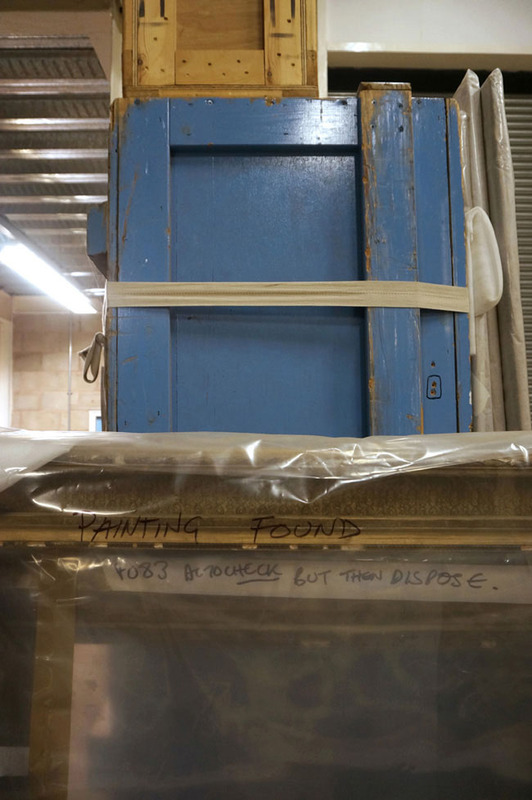 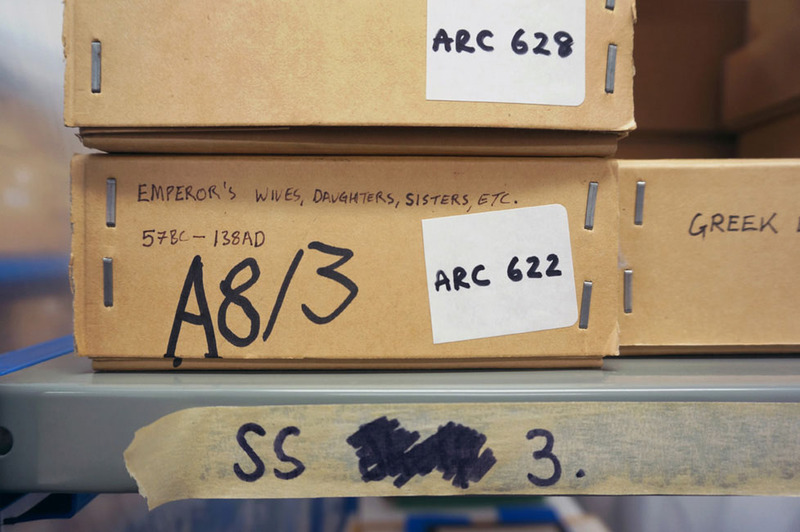 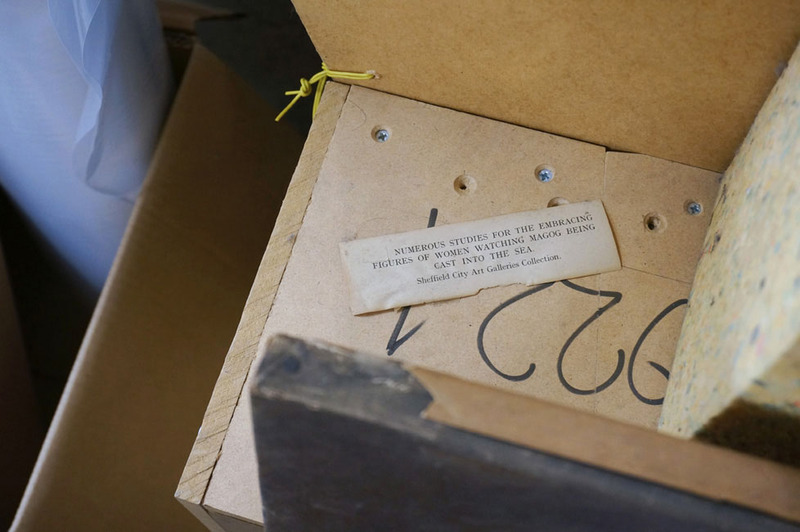 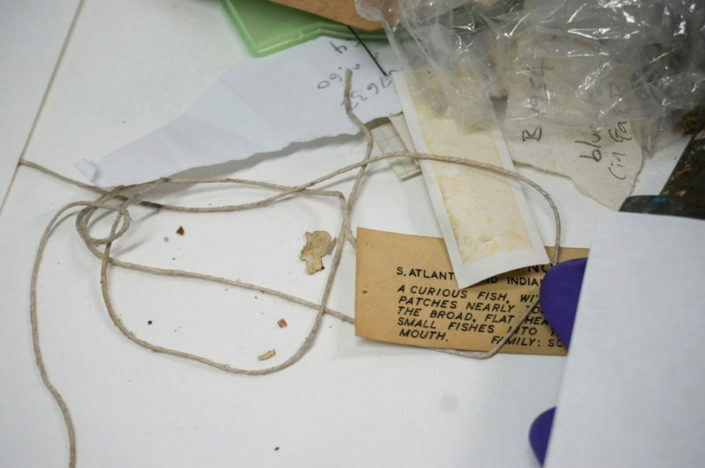 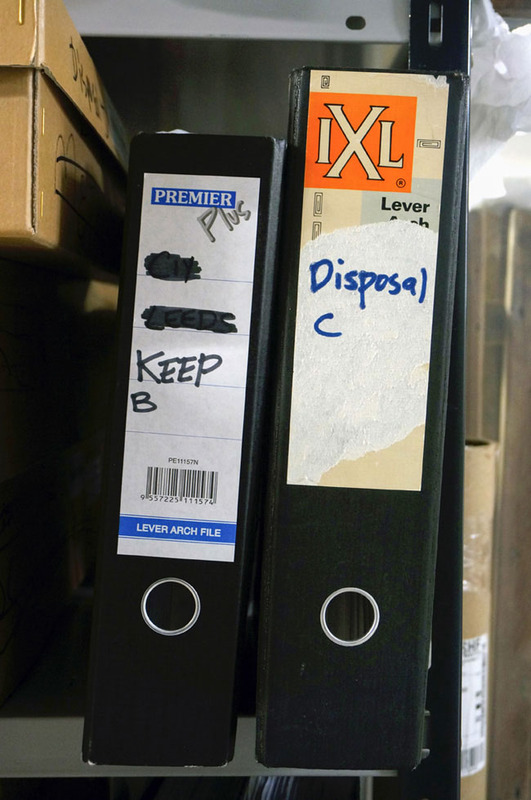 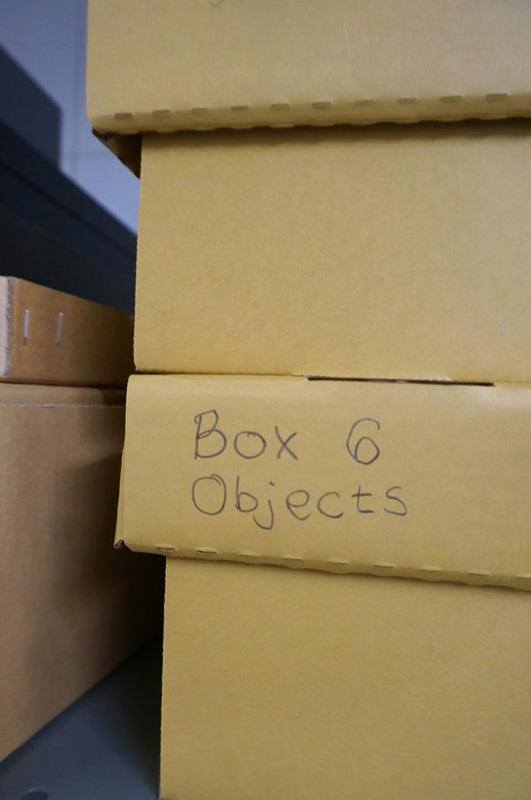 Taken out of context, these labels and text fragments – announcing the presence of ‘mystery objects’ or boxes ‘waiting for lid’ – take on a poetical, at times comical, aspect, as well as giving a glimpse of the daily processes that go on behind the scenes in the museum store and archives.